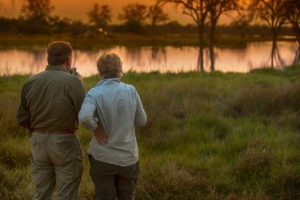 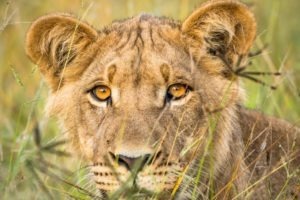 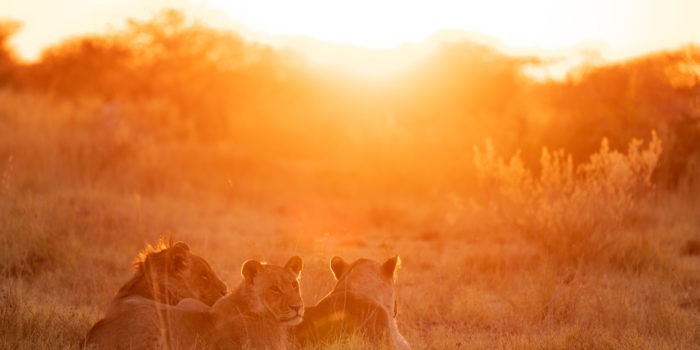 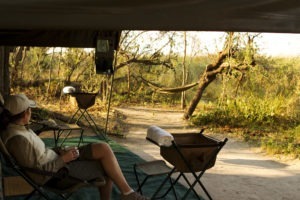 The Selinda Reserve is an impressive 320,000 acres of private wilderness just begging to be explored. 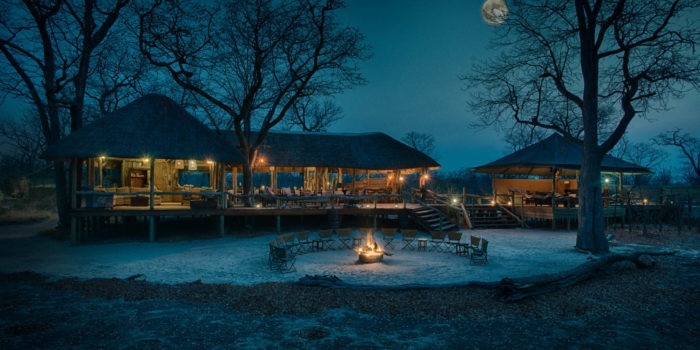 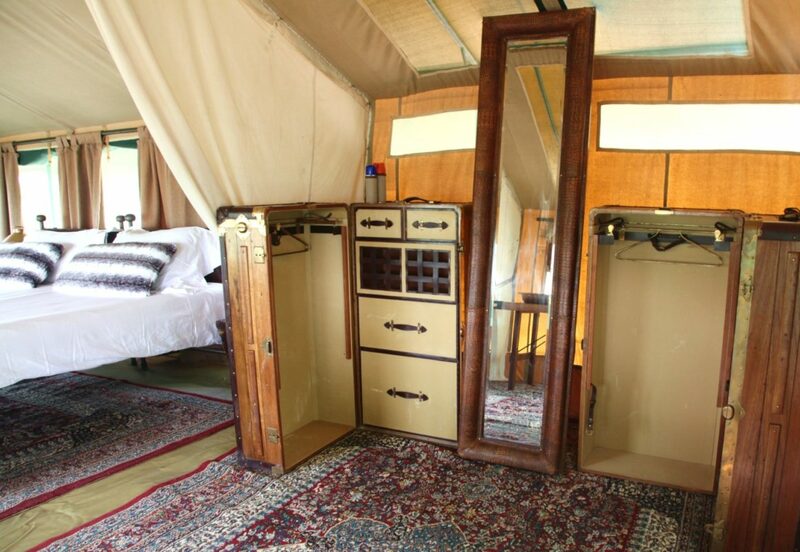 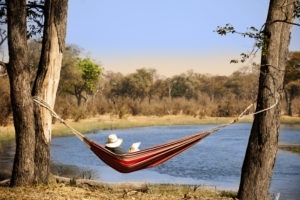 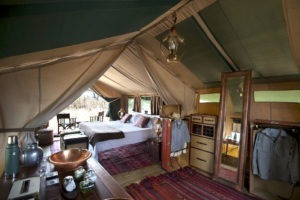 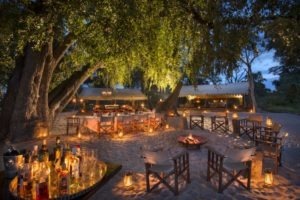 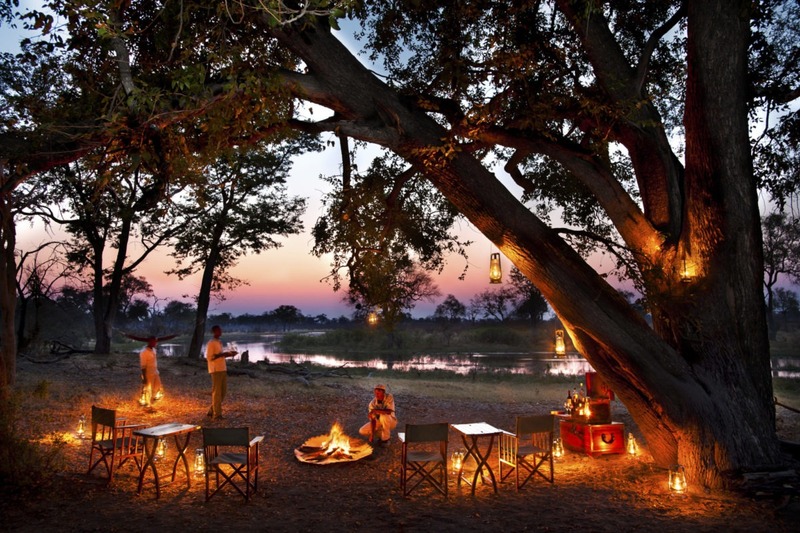 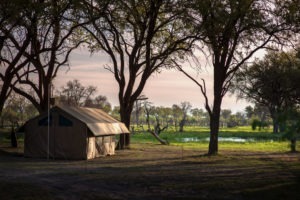 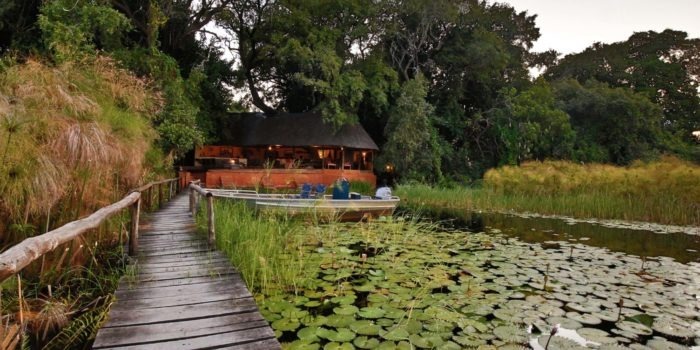 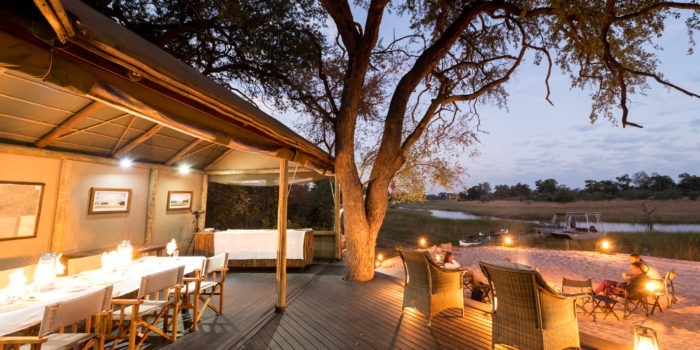 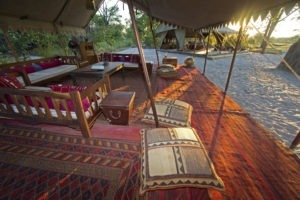 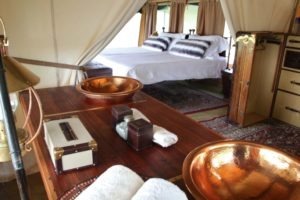 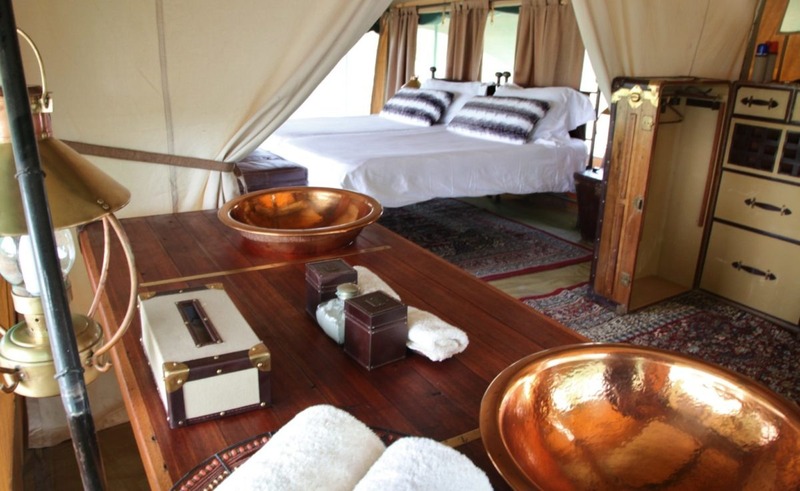 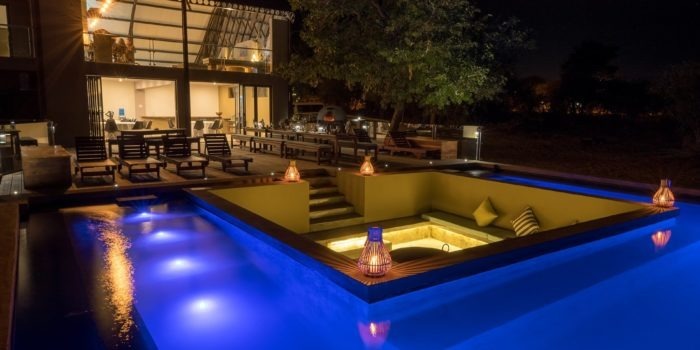 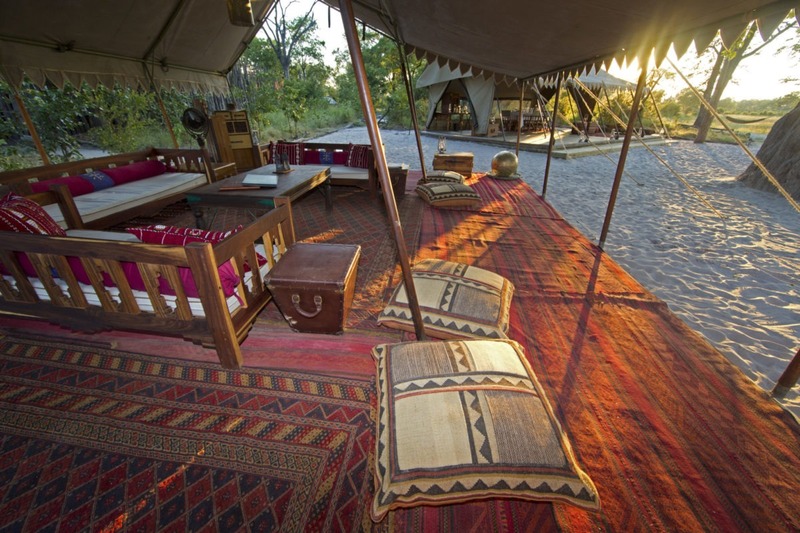 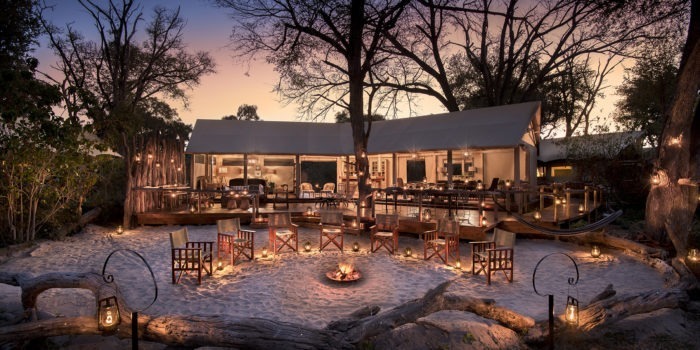 Selinda explorers is an intimate tented camp with its style being inspired by classical east-African expedition camps. 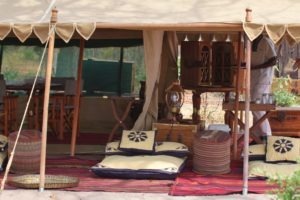 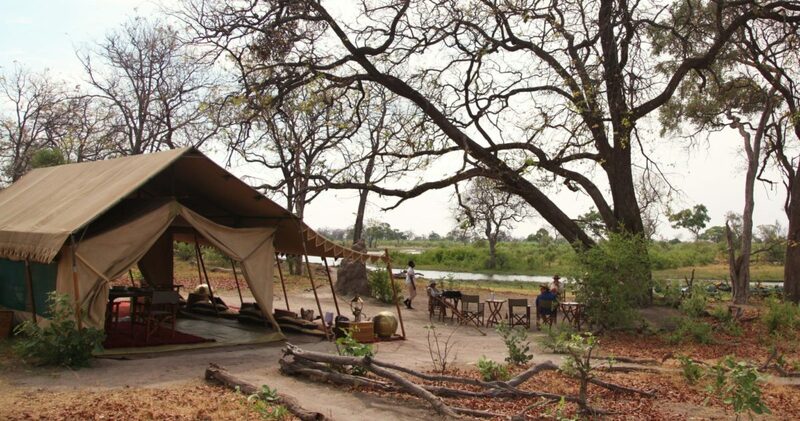 Set under the shade of the riverine trees along the Selinda spillway, this classical camp transports you to the by-gone safari era of old. 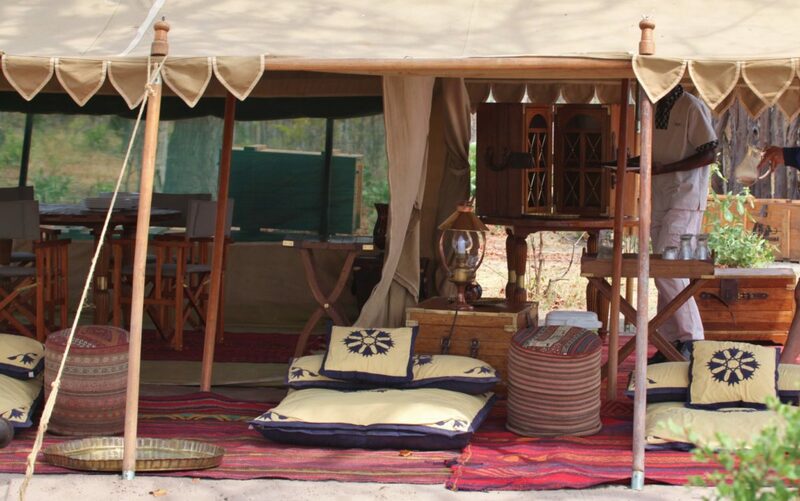 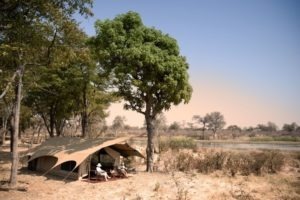 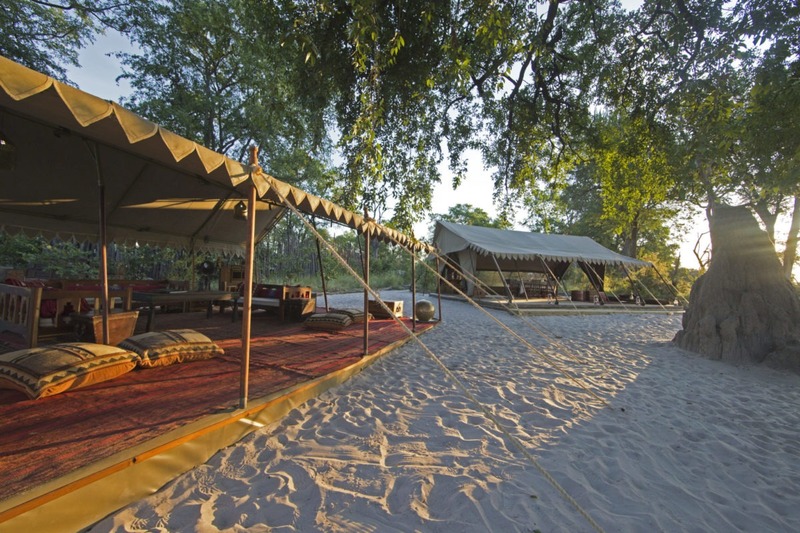 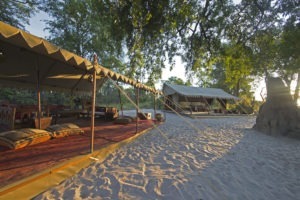 The camp has only 4 canvas tents which are all located on ground level with only slightly raised platforms as the base. 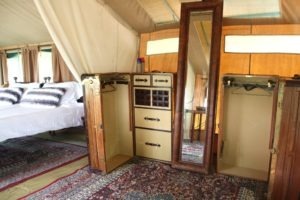 Each can either be double or twin in configuration, has a verandah with chairs and has an open-air en-suite bathroom facility with flushing toilet and hot showers. 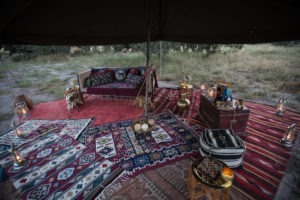 Excellent meals are prepared mostly on the open-fire and enjoyed as one small group. 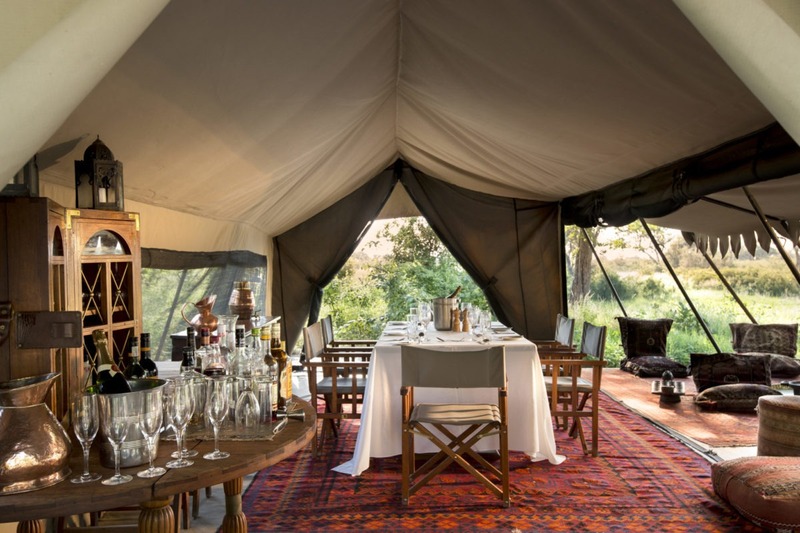 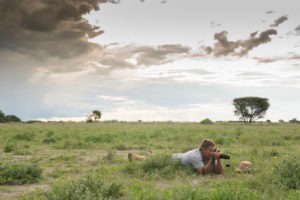 The timing of meals is very flexible with guests often enjoying picnic breakfasts or lunch while out on safari. 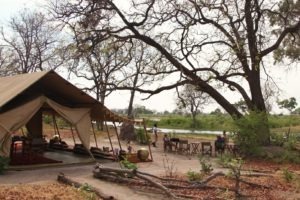 The activities on offer focus mainly on exploring the area on foot in walking safaris or on canoe whilst the spillway is in flood. 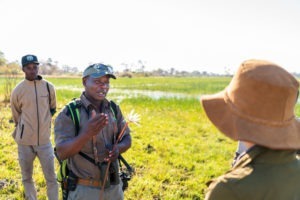 Both are accompanied by some of the most experienced guides in the country whom are firearm proficient and carry rifles for added safety. 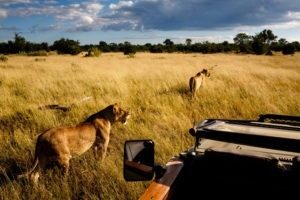 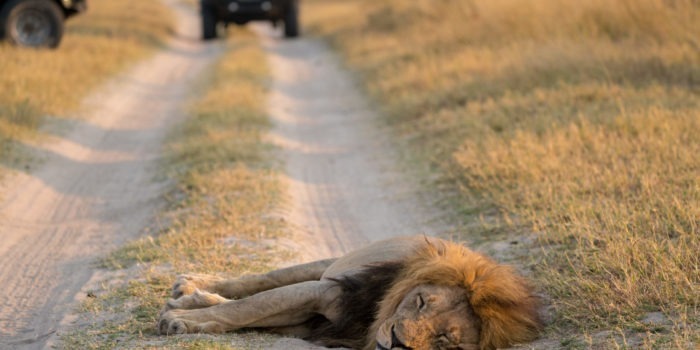 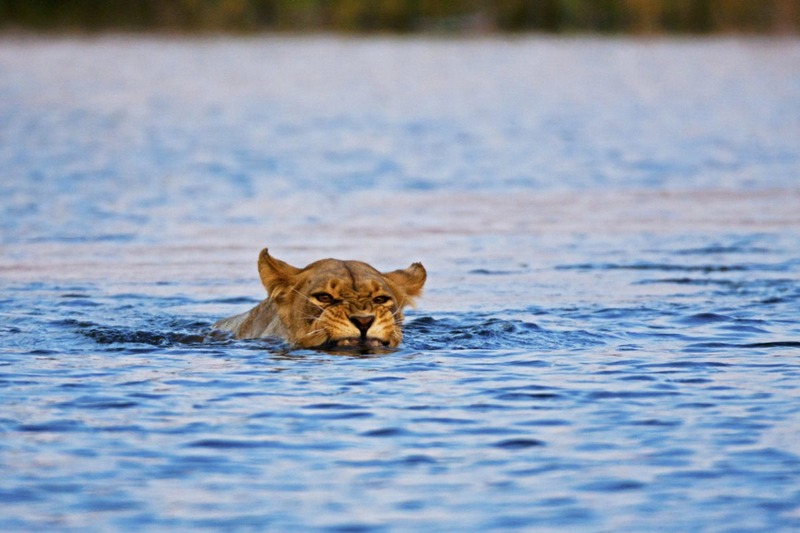 Game-drives are also on offer although it is encouraged to rather go the adventurous route. 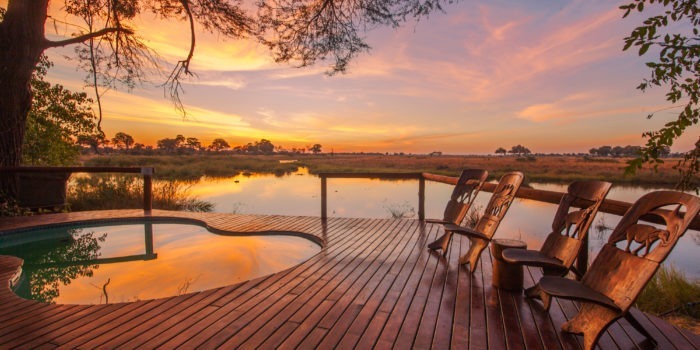 Secluded in a remote section of a huge private concession. 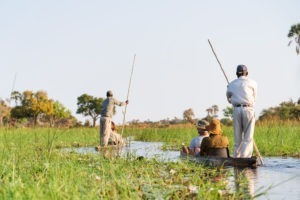 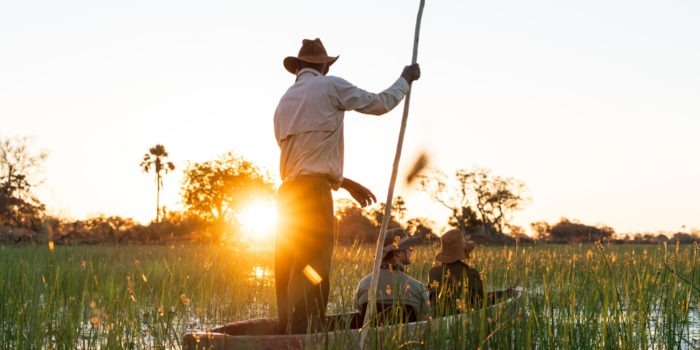 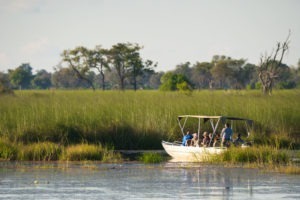 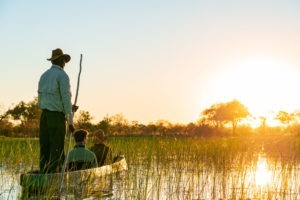 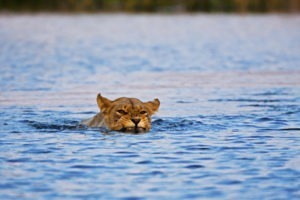 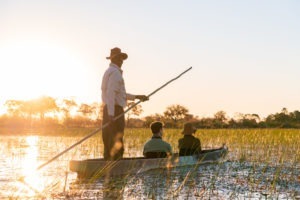 Focus mainly on walking and canoeing safaris with excellent guides. 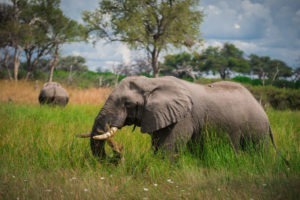 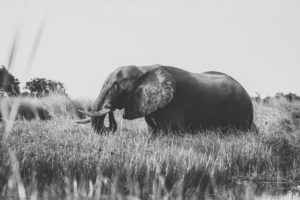 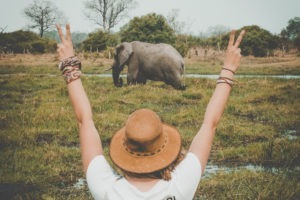 Incredible game-viewing, particularly elephants and painted wolves. Small and intimate with only 4 tents.